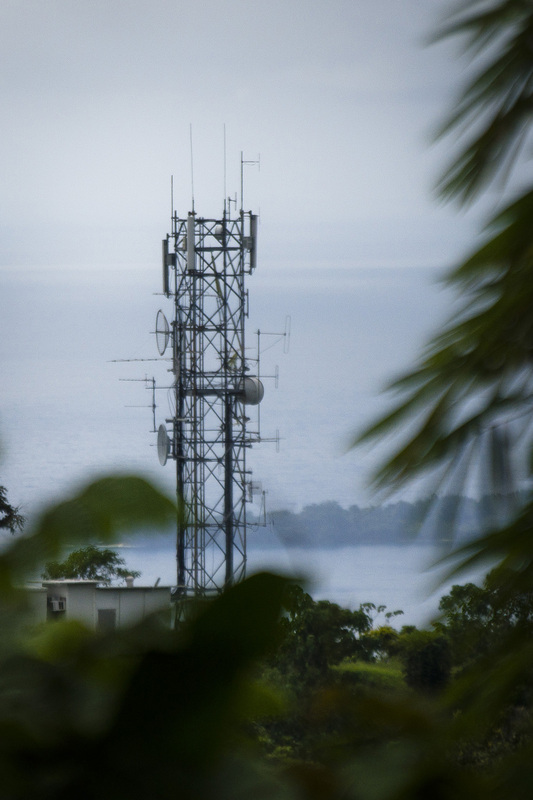 The use of mobile phones has increased significantly in Papua New Guinea in the past several years. Now corresponding with village workers is no longer totally reliant on shortwave radio. But coverage is not everywhere and in many areas it is a very weak signal. It is not unusual for villagers to know exactly where to stand to pick up the weak signal. Corresponding with village translators who are at work on translations while the lead translator is away is still a challenge. Pray for better communications between co-workers. Market produce is a major income stream for many Papua New Guineans. At some training courses, villages provide food for the local translators who are getting trained in order to “partner” with them in translating the Scriptures into their heart language. Partnering happens at all levels. Pray for your role in partnering in order that all languages can read and hear God’s word. 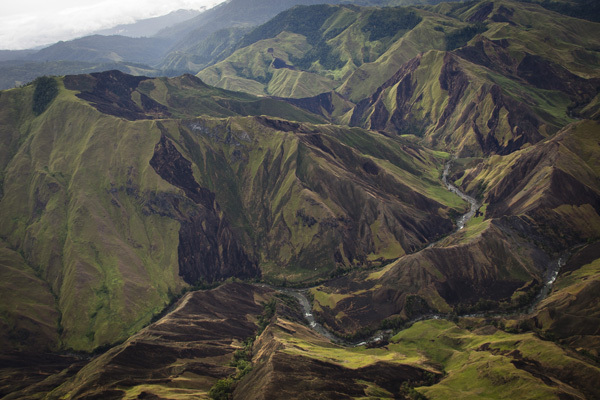 Much of Papua New Guinea is experiencing a drought. There has been very little rain in Port Moresby for about seven months. Here in the Highlands spotty rain showers have provided relief but even here in Ukarumpa, many water tanks have run dry. Now the river which is a secondary source for water is running dangerously low. The impact on the neighboring gardens is starting to show. What does this have to do with translation and language development work? When the gardens dry up, gardening takes more effort and national translators must find other work in order to survive. This means less translation work is accomplished. Pray for rain for all of PNG so that the work can flow … along with the water. 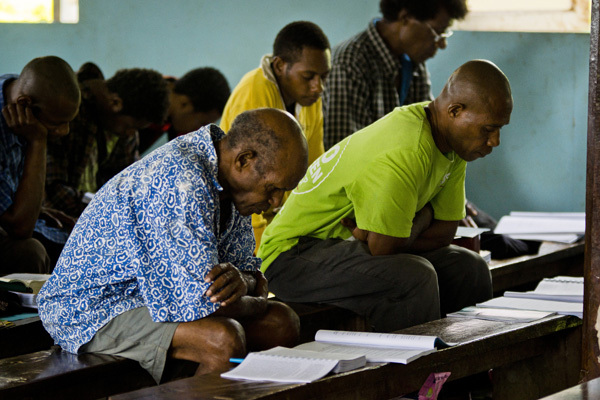 This testimony of a participant in the Scripture Application & Leadership Training (SALT) course held in Nobonob, Madang shows how God is at work in people’s hearts, bringing changes in their lives and communities. The SALT course is a two-week intensive Bible course. With the help of local translators, SALT teachers seek to customize teaching topics and discussion times to meet the felt needs of local people, making the curriculum and method as culturally relevant as possible. Practical applications of the material and outreach opportunities are strongly encouraged, with the ultimate goal of changing lives and communities. 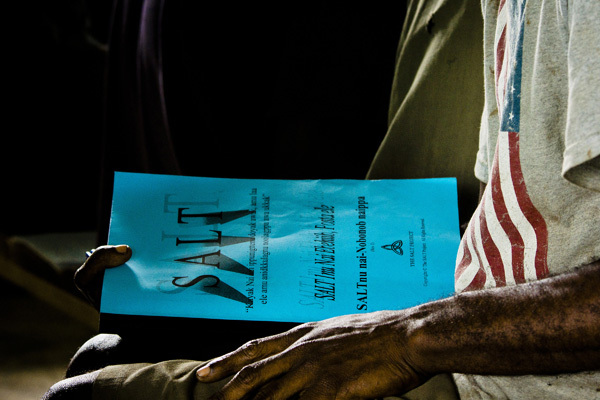 The SALT course is a tool to draw people closer to God, so the course is conducted after the Scriptures are translated into the local language. Because the SALT materials are also translated into the local language, the teaching shoots straight to the heart, equipping leaders and pastors who have limited access to Biblical training. …no easy way across. As many as 150 inhabited islands (maybe more! 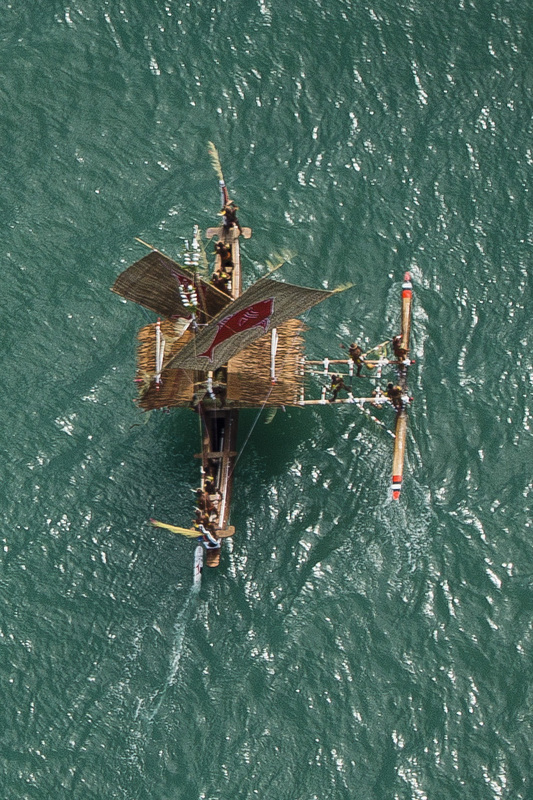 *) are scattered around the mainland of Papua New Guinea. Some are more than 1500 km (900 miles) from PNG mainland. Rough seas and strong currents make it difficult to navigate. Changing landscapes, few navigational aids, along with boats insufficient for the task, create risky travel for many. On these islands are many language groups that need translation work. 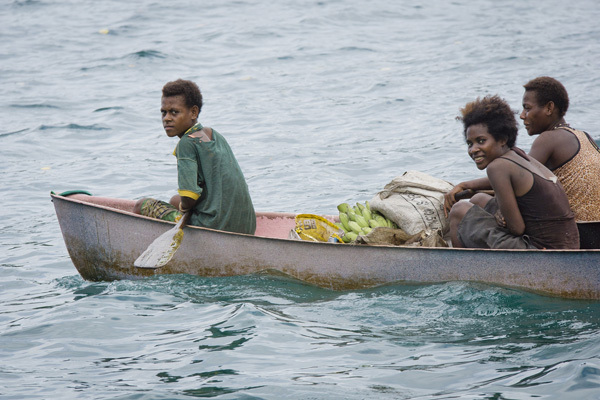 Pray for the islands of PNG today. Another class completed! This group completed their final lessons and assignments yesterday. They are from several different areas of PNG. 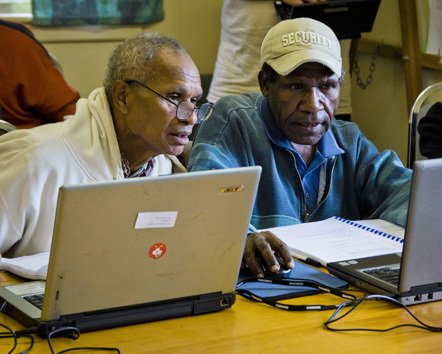 They are learning a software application called Paratext which allows them to be more effective in the translation of their heart language. Pray for recall and full understanding as they travel back to their homes to continue translating the Scriptures into their language. Linguistics captivated Luai during her studies at Keravat National High School. Although she wanted to study advanced linguistics at the university level, she put that dream aside when she got married and began working at a bank. 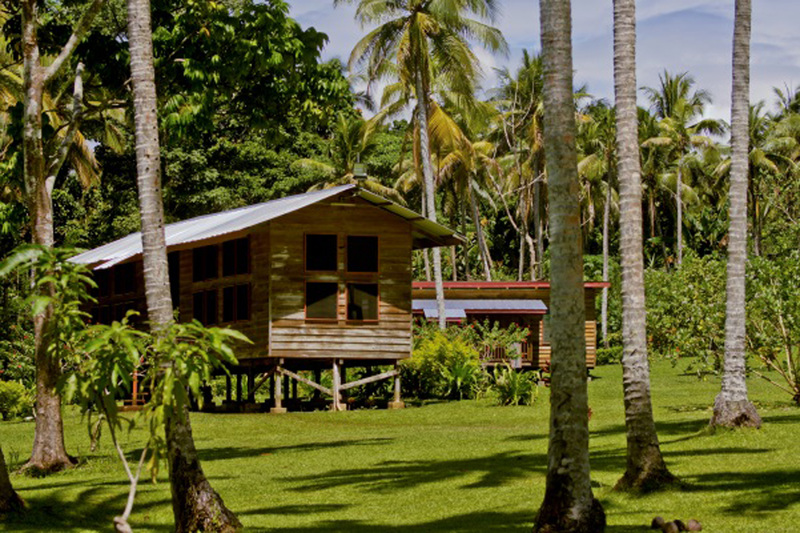 Several years later, Luai’s pastor selected Luai and encouraged her to attend the New Ireland Tranlsation Institute (NITI) . 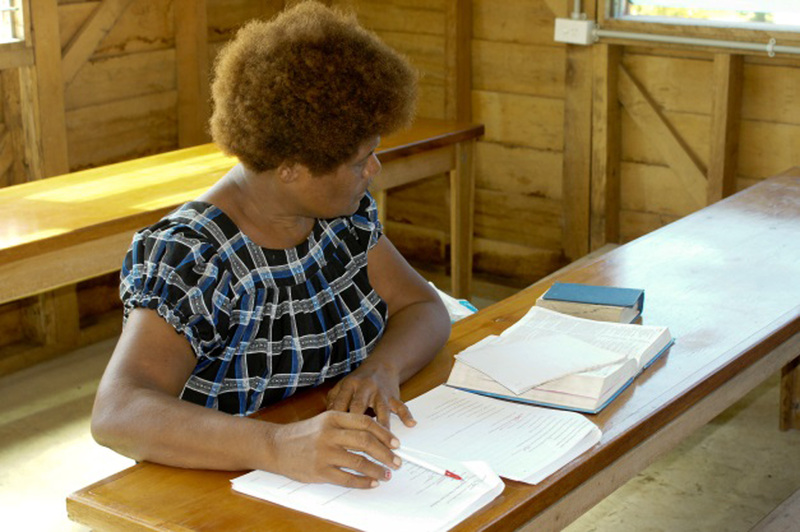 Going to NITI rekindled Luai’s interest in linguistics and initiated her involvement in translating the Nalik New Testament. 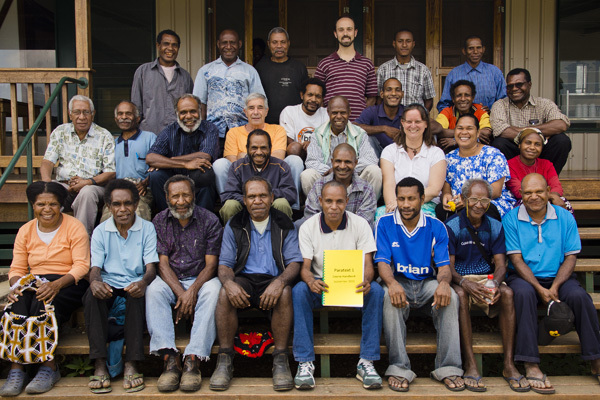 Initially, Luai’s husband was pessimistic about her work with the Nalik translation, but he now supports her. This is a great encouragement to Luai.